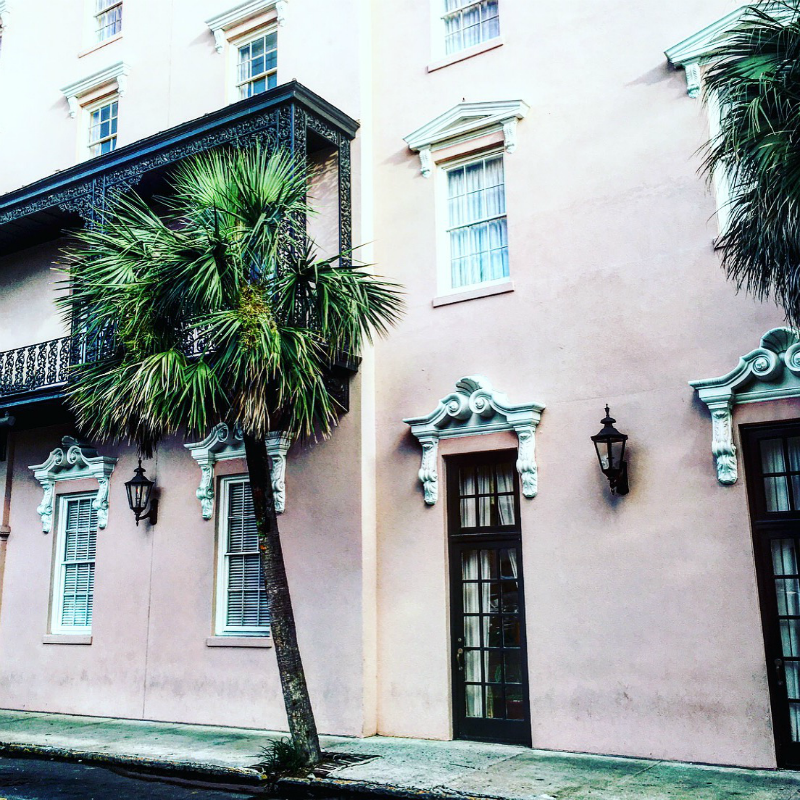 A few weeks ago I traveled down to Charleston, South Carolina for my second blogging conference with the lovely ladies of The Blog Societies. 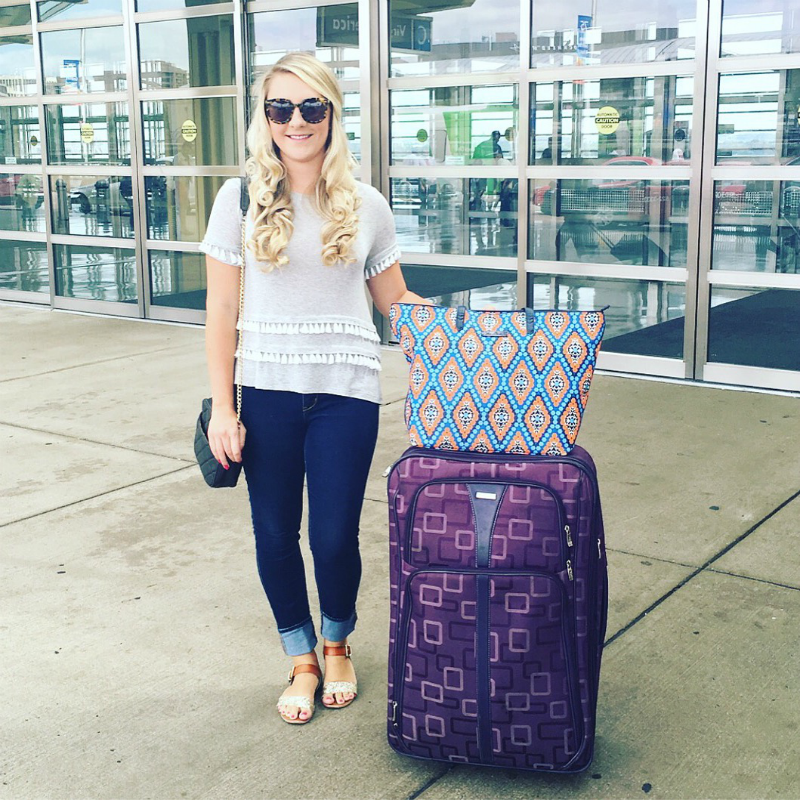 I previewed this trip on social media, and have already shared the look I wore for the last day of our conference, as well as the look I wore for the second day. I'll be sharing the dress I wore for the welcoming party on the blog Thursday. Today I want to focus on recapping the conference itself, as well as a few touristy things we did + where we stayed. I apologize in advance, but this post is very "photo heavy," so hopefully you don't have too much trouble loading the post. Now, let's get into it shall we? 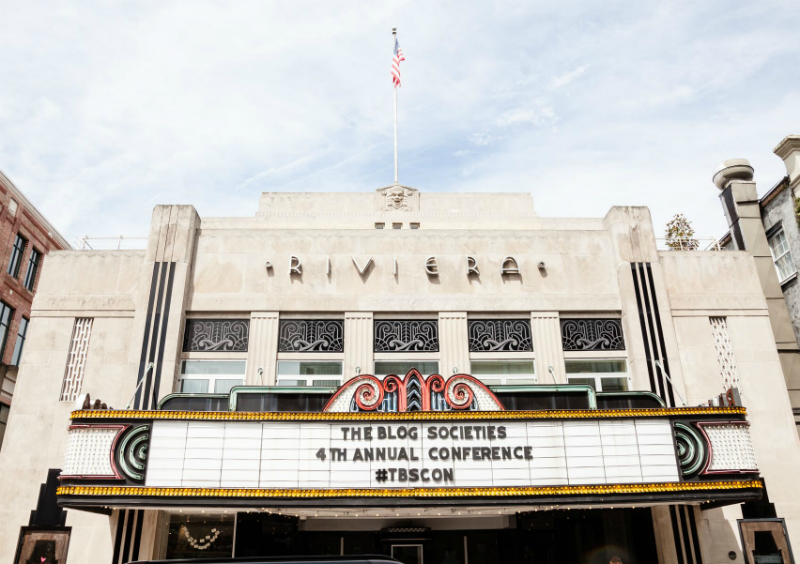 You may recall that I attended this conference last year, when it was known as The Southern Blog Society Conference. Since last year, the southern states combined with all the other regions to now be recognized as one entity, The Blog Societies. I love being apart of this society! And if you're a fellow blogger who hasn't yet applied, I hope that today's post will convince you to. The Blog Societies is made up of 400+ members from all across the United States. This year 75 of those members, including myself, traveled down to Charleston for the 4th Annual Conference. It was a weekend full of networking, learning and fellowship. 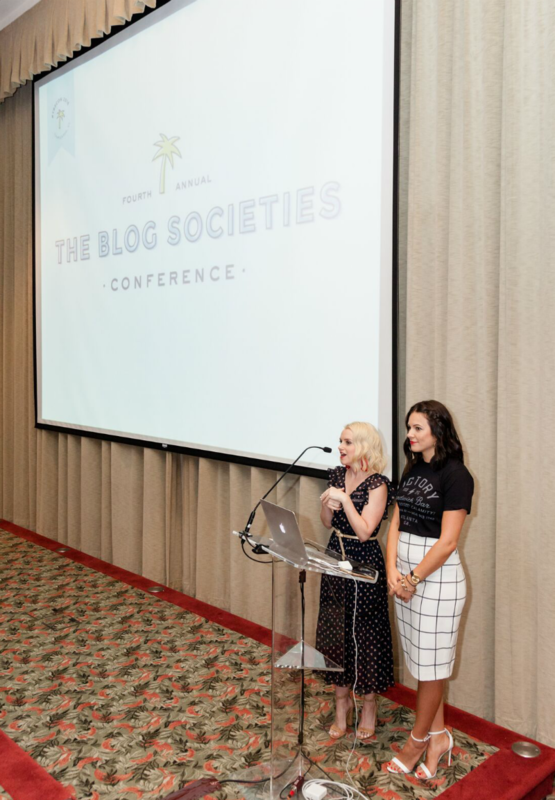 The conference gives bloggers a chance to connect with other influencers and brands from around the country. I left this year with so many ideas and a notebook full of knowledge that I hope to apply to my blog soon!! 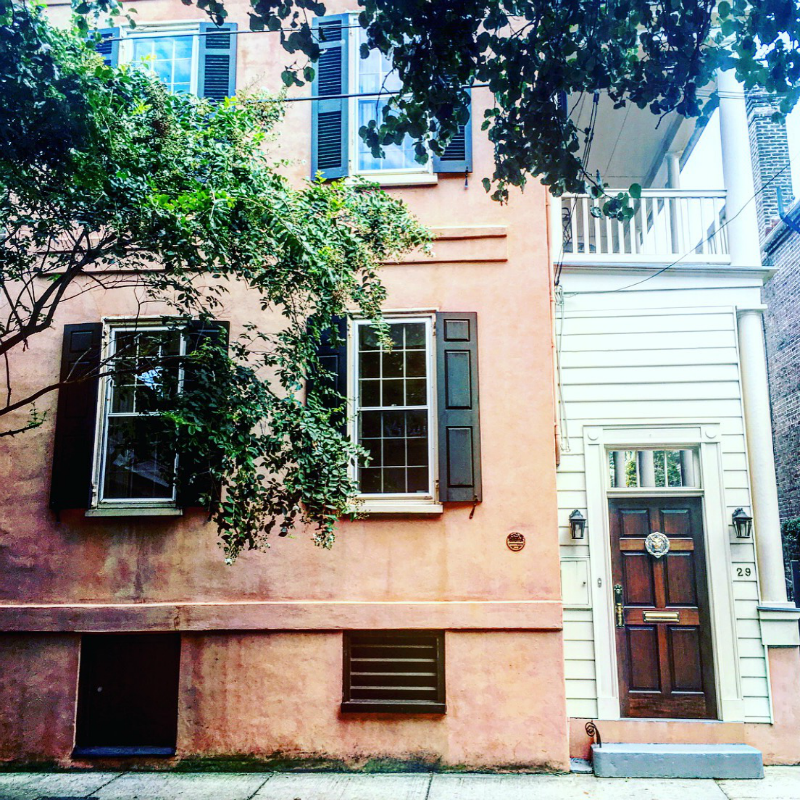 Charleston is so rich in history and charm. 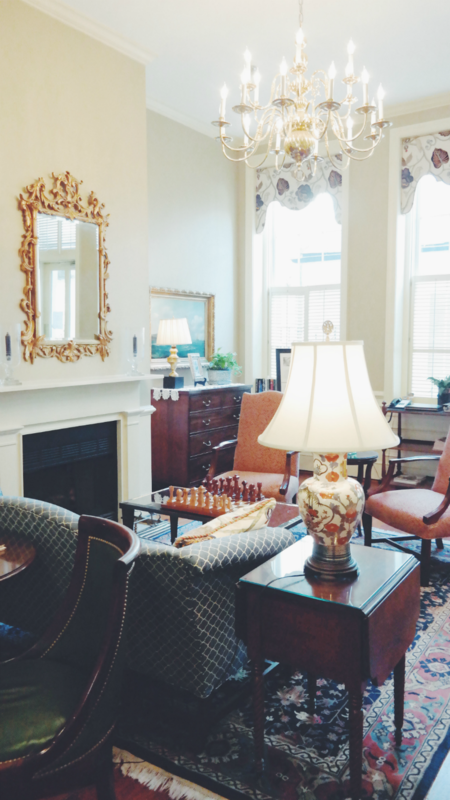 While our conference was hosted at another property, myself and a few other friends wanted to stay somewhere a little more quaint, but still within walking distance to all of our activities and conference events. Kings Courtyard Inn hosted myself, Lauren, Lindsay and Taylor-Rae. 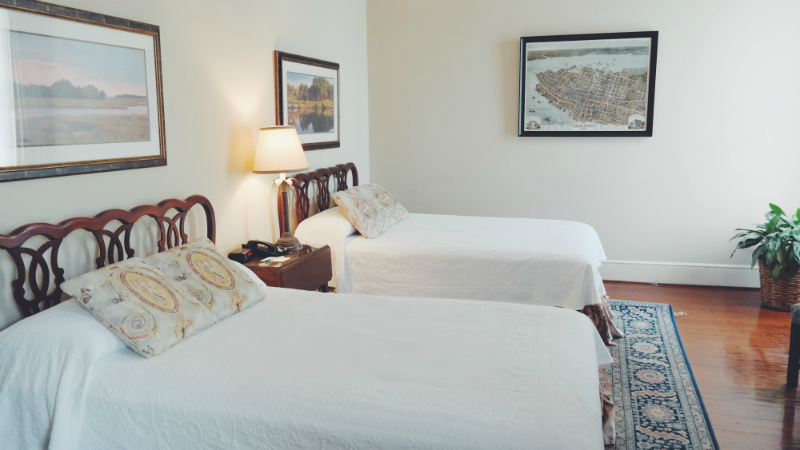 It's a charming little inn that is only a few blocks away from our activities, and it's situated right on King Street; where all the action is. 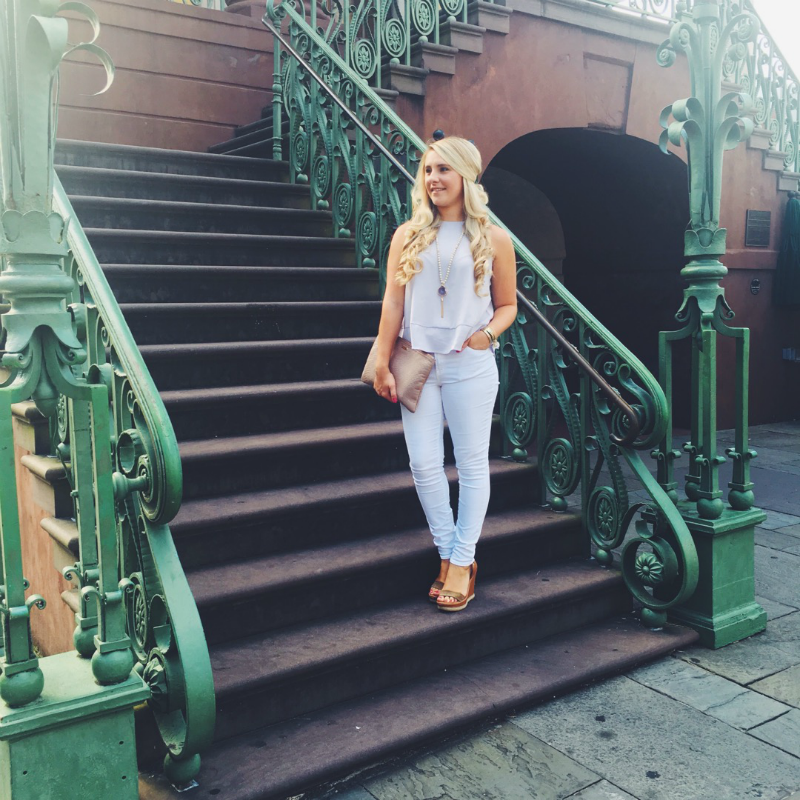 We could easily walk to Charleston Market, all of the shops along King, and each of our nightly dinner spots. It was truly in the best location. We stayed in a massive double-bed room, with extremely high ceilings and a newly renovated bathroom. 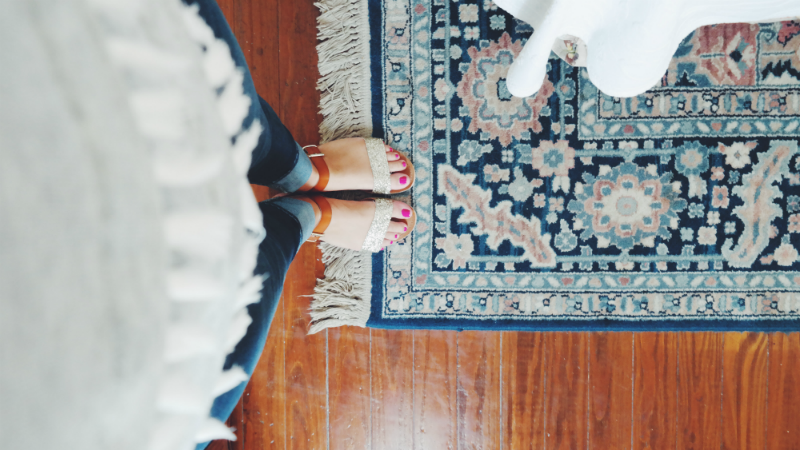 I loved the old wooden floors, and the character of our space. Very Charleston, and very Southern. 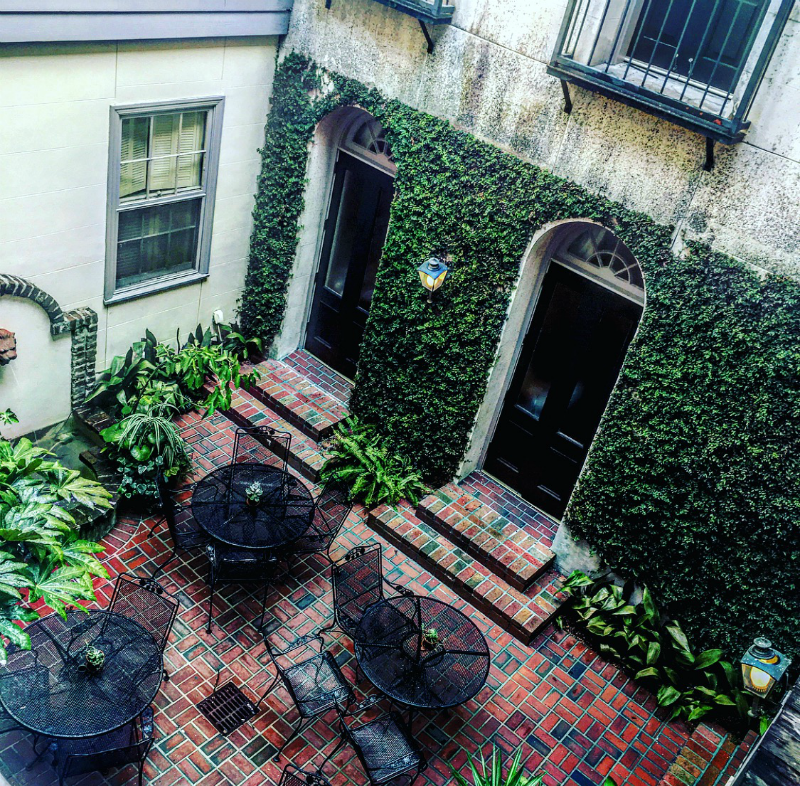 The best part about our hosting hotel, was the courtyard (hence the name, ha!). It was the most gorgeous setting for an early morning complimentary breakfast, or an evening glass of wine at the also complimentary managers reception. 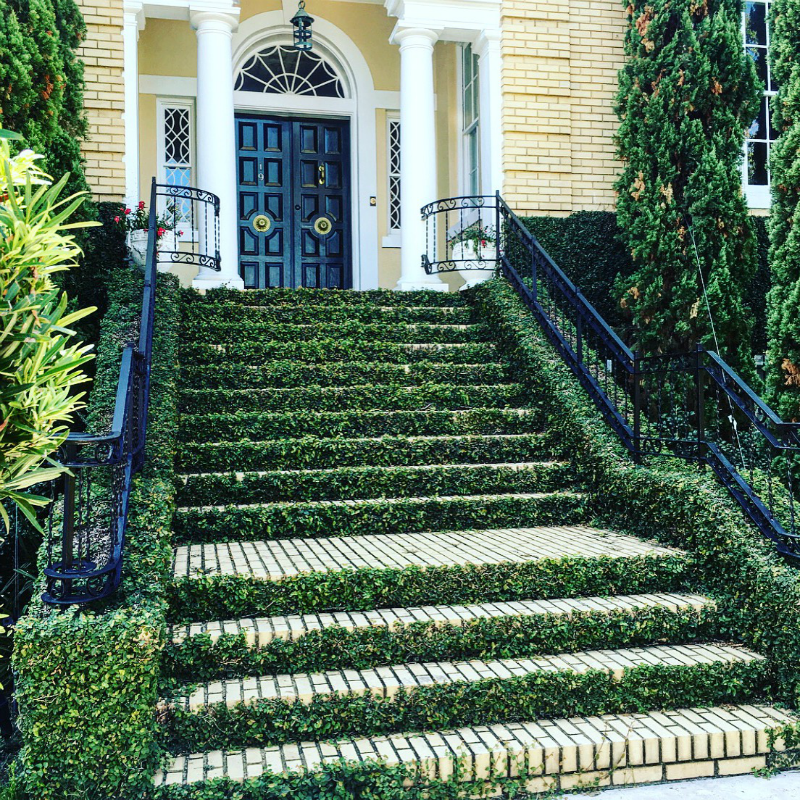 It also made for the perfect Instagram photo-op, with the ivy covered walls and bold black french doors that opened out onto the patio. 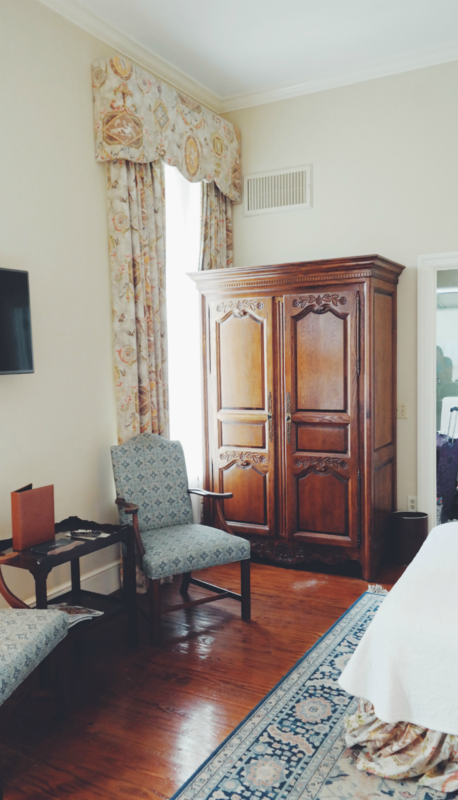 If yyou are looking for a place to stay that provides excellent hospitality, a great location and offers that southern, Charlestonian charm, then Kings Courtyard Inn is the place for you to stay! 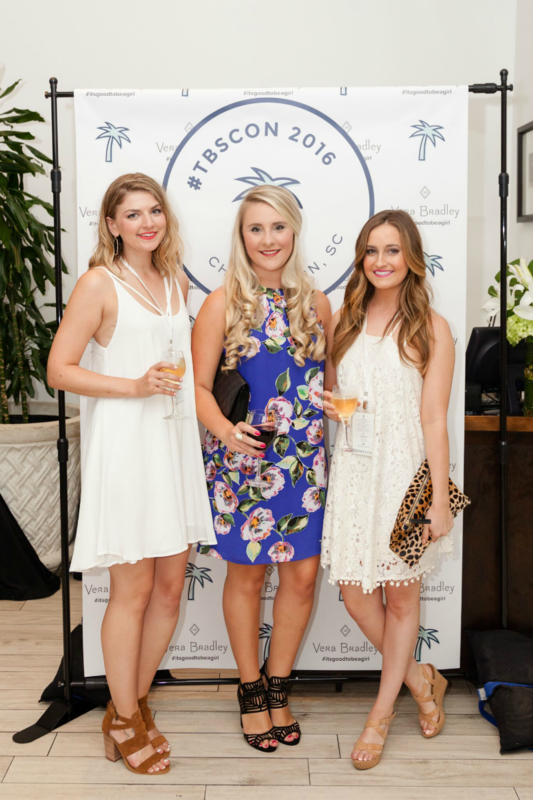 The conference kicked off Thursday night with a Welcome Party in The Belmond - Charleston Place hotel. 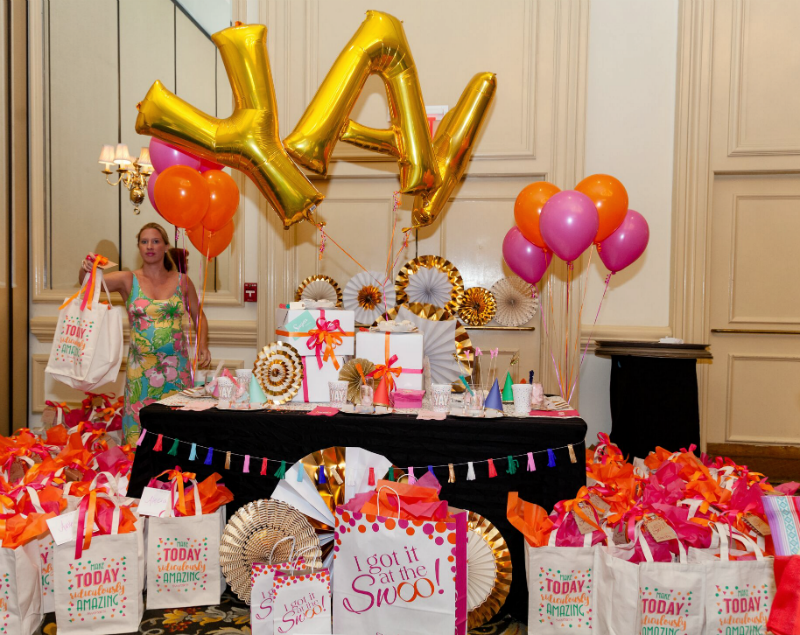 The party was hosted by Vera Bradley! Since the weather was a little iffy, they hosted us in one of their restaurants. We sipped on wine while meeting and greeting all of the conference attendees, and thanking our lovely conference hosts and Blog Societies founders, Cathy (of Poor Little It Girl) and Jessica (of My Style Vita). Friday we began the "learning" portion of the conference with presentations by Lindsay Humes of White Oak Creative, Sarah from rewardStyle, Amy Flurry on pitching press and gaining press, and finding your voice with the InStyle Collection. All of these speakers offered a plethora of knowledge that would help us grow our blogs, as well as our overall brands. We then moved into the networking suite, where we met with 15+ brands. 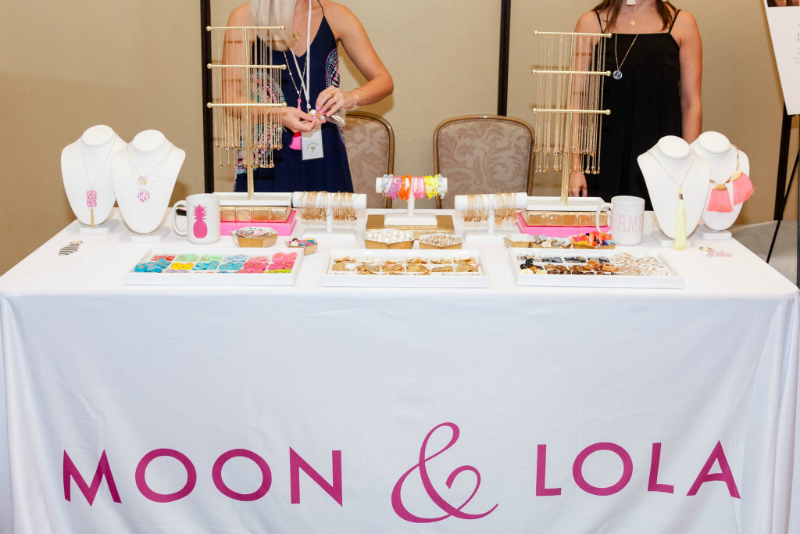 Everyone from Kendra Scott, to Moon and Lola, Swoozies, Wayfair and The Container Store, to L'Oreal and more. There were so many of my favorite brands all in one room! We took home so many goodies from each of these brands, and I can't wait to share more of what we received with y'all soon. Everything from new beauty products, to home decor and more! Saturday was our last full-day of the conference and our last day in Charleston. So sad! 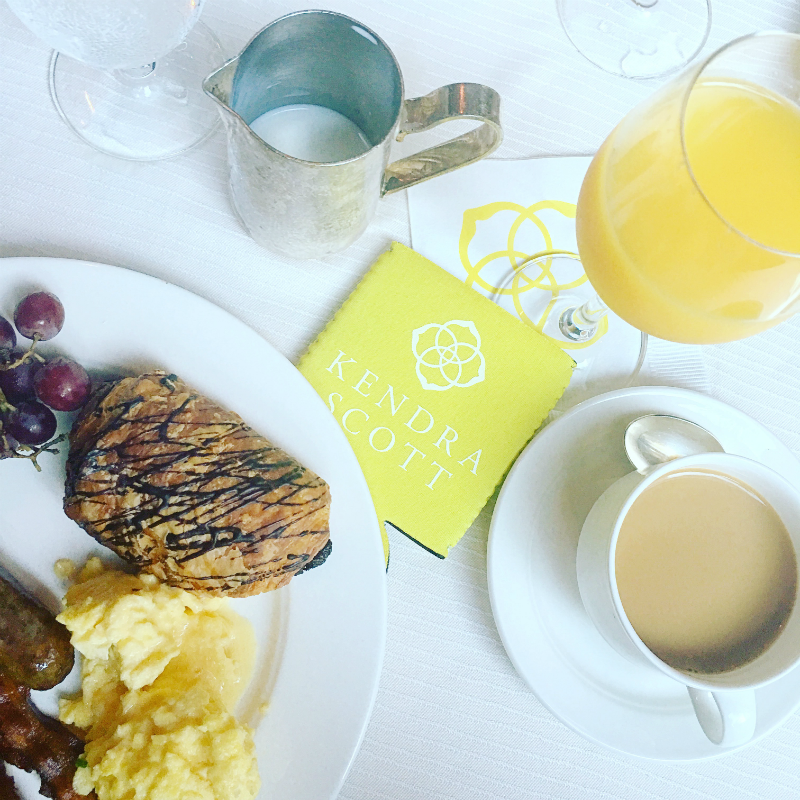 We started the day off with a delicious breakfast hosted by Kendra Scott. We then headed to a morning of workshops. 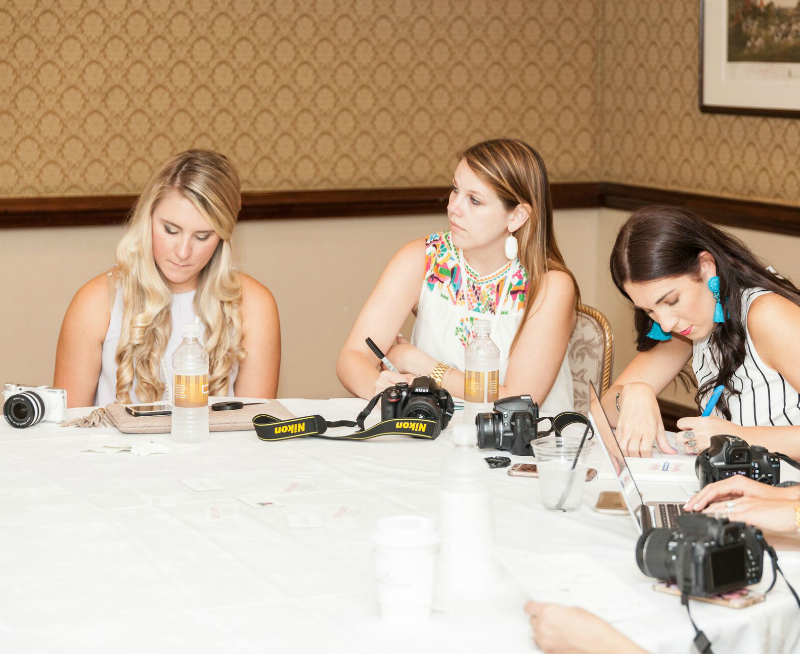 All of the bloggers were broken down into smaller groups, that rotated from one workshop to the next. 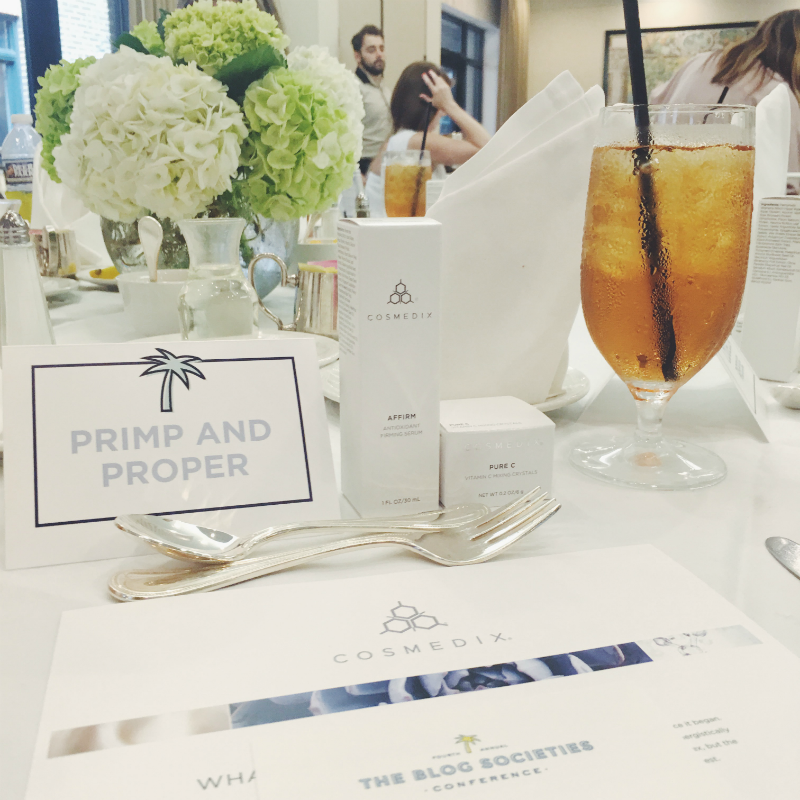 This gave us the opportunity to really learn, ask questions and get more one-on-one time with brand reps and other influencers. I started off with a photography workshop (clearly I'm focusing very hard in the photo below, ha! ), where I finally learned how to properly use my Samsung NX300M camera! I've had that dang thing for months, but could never quite figure out how to change the settings. Thankfully I now know how to focus and change the white balance, along with all the other features this amazing camera has. Wahhooo! Next up I went to the LIKEtoKNOW.it workshop hosted by rewardStyle. 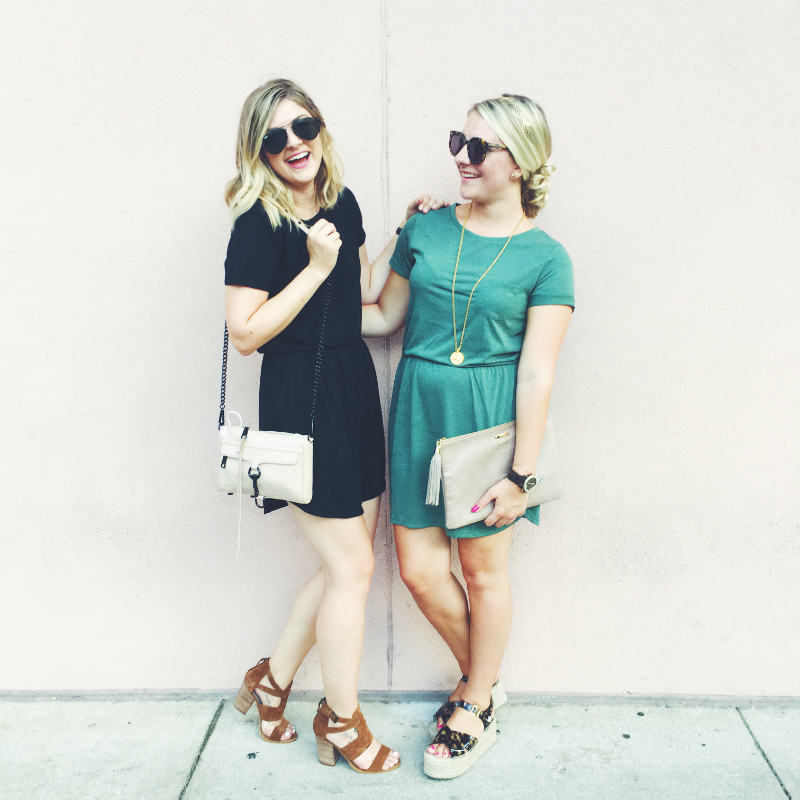 For those of you who haven't heard of rewardStyle, it's an affiliate network I'm apart of that helps connect brands to consumers (you) through influencers like me. I do make commission through this network, but all the money I make goes back into this blog and activities that benefit my brand. LIKEtoKNOW.it is one such way I make that commission. I broke it down a little bit here, but basically those links you see on some of my Instagram photos, they are there to help you shop what you see. By signing up for this service and then liking my Instagram, you'll get an email sent straight to your inbox with all of my outfit info. How cool is that?! Like I said, you can learn more about this here. 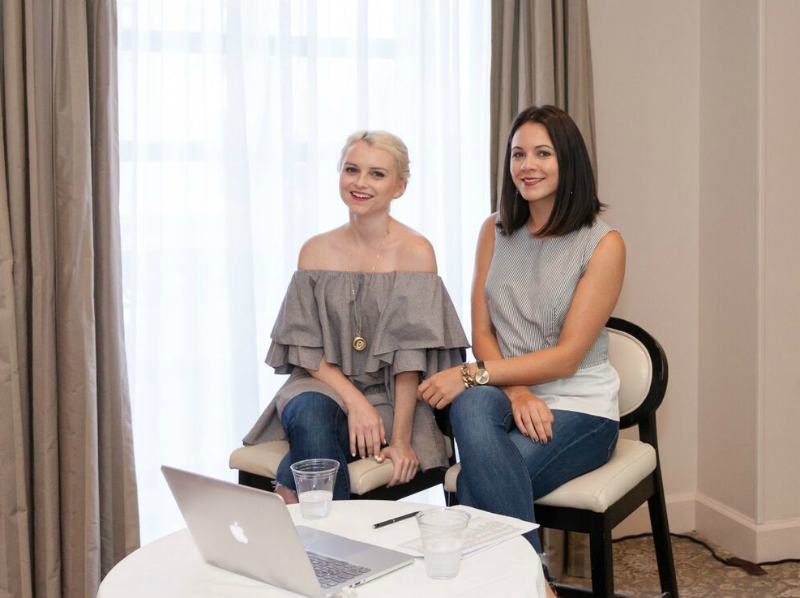 My last workshop was with the founders of The Blog Societies, Cathy and Jessica. They gave us some great advice and tips for growing our following, maximizing our time, best practices for working with brands, how to properly pitch a brand an idea, and how to not sell ourselves short when it comes to talking about payment. A lot of the other bloggers in the room had some great tips and tricks to share that worked for them as well. So it was a really great session where we bounced a lot of ideas off one another. This was probably my most beneficial hour of the entire conference! We then finished up the day and conference with a brunch hosted by Cosmedix. It was such a delicious meal, with a beautifully decorated table and wonderful company with bloggers I hadn't really had the chance to talk to yet. It was really sad to leave this year! But I left with so much knowledge, ideas and inspo. I'm still trying to figure out the best way(s) to implement it all on here. But that's another post for another day, ha! 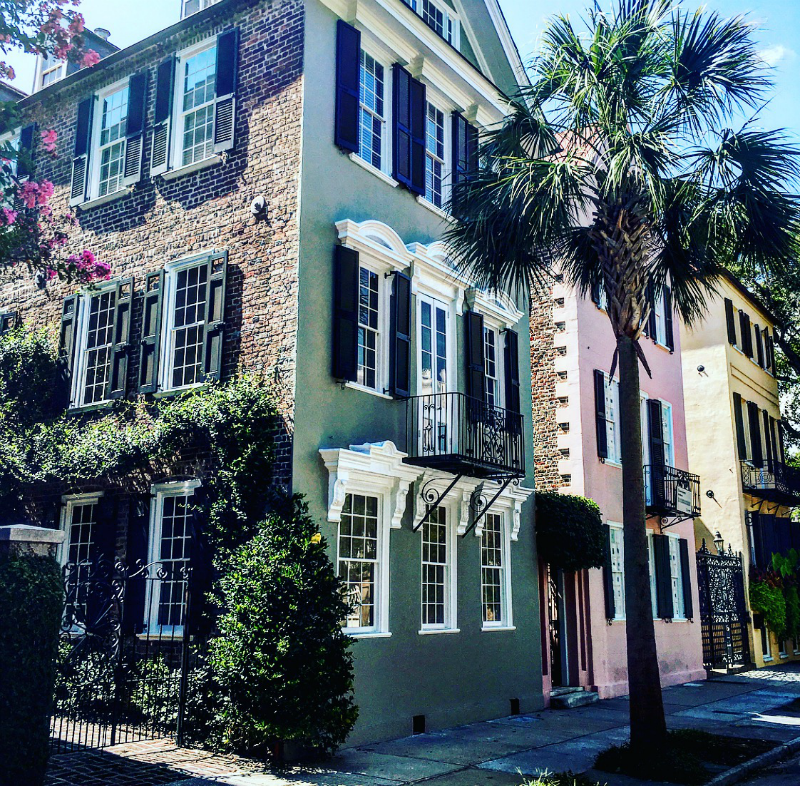 Our weekend in Charleston wasn't all about work and blogging, we certainly did enough eating and drinking of rosé. 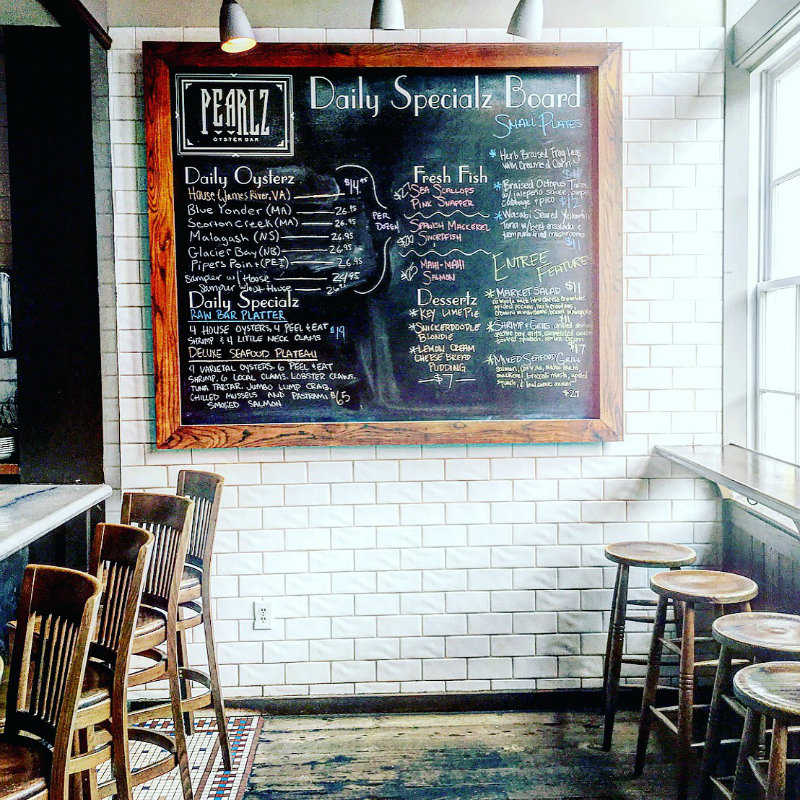 We ate at Pearlz Oyster Bar (really great appetizers and of course, oysters), 167 Raw (a hidden gem in Charleston, with some really gorgeous men who man the bar… worth the visit to hangout with them alone, ha! ), The Darling Oyster (some of the best scallops I've ever had and across the street from Leon's), and Poogan's Porch (great place to share small plates. I highly recommend the pimento cheese fritters… the most amazing thing I've ever tasted. And Poogan's is next-door to Husk, another popular Charleston spot). We also did a little sightseeing before we left town Saturday afternoon, and toured around Rainbow Row. You can see my photo diary from our afternoon exploring around town, here. This was another amazing conference and weekend in Charleston! I'm excited to see where 2017's conference will be, and which brands will be in attendance. This is a wonderful and beneficial conference and if you have the opportunity to attend next year, I highly, highly recommend it. 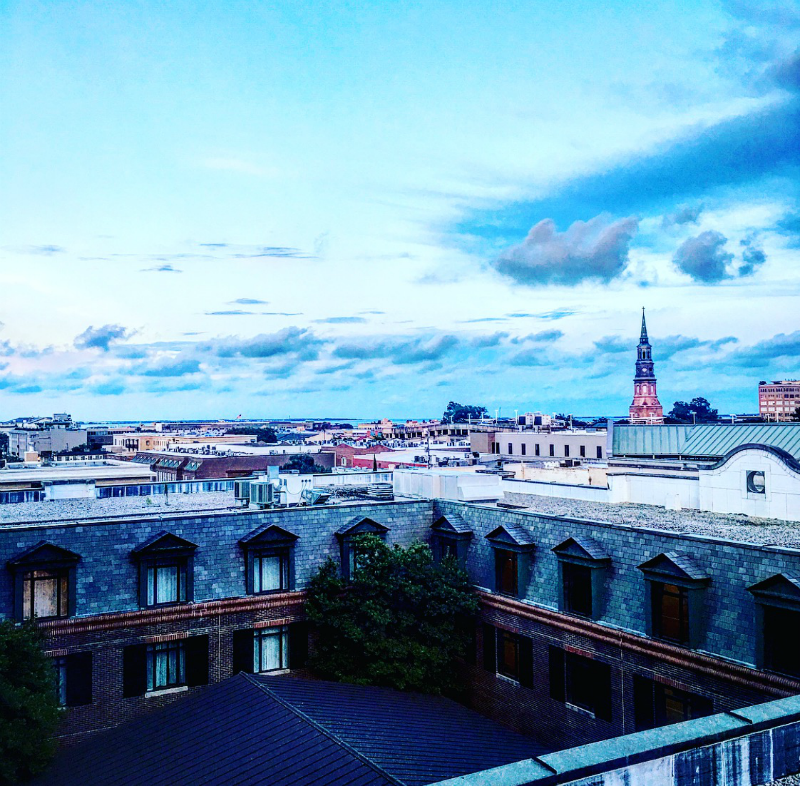 Let me know if you have any specific questions about the conference or Charleston in general, below! A special thanks to all the brands who attended the conference! And a BIG thanks to Cathy and Jessica for planning such an amazing weekend. These ladies are truly an inspiration!! And another big thank you to Kings Courtyard Inn for hosting us during our visit. Had such a fun time with you my dear! Such a great breakdown, and I cannot wait for 2017!!! This post is perfection! SO glad you were there this year...we'll see you next year, right?! Wow, this sounds like a great time - both professionally and personally. So fun! It really was!! Already counting down the days till next year's conference!! This looks like a blast! I usually go to BlogHer but unfortunately wasn't able to make it out for it this year. I'm hoping to get back on track next year! It was so much fun Rachel!! I've never been to BlogHer, but have heard great things as well.